Just as I’d struggled to get past the first round of Mixels reviews… Series 2 hit the shelves within the last week! Thus begins a vicious cycle: since I took the time to review all nine of the Series 1 Mixels, I feel obliged to do Series 2 as well. Hopefully all three of my audience members will appreciate it! Anyway, I hear Mixels have been selling like hot cakes. Whether you like the concept or the models or not, one thing we can’t deny is that Mixels is obviously working. 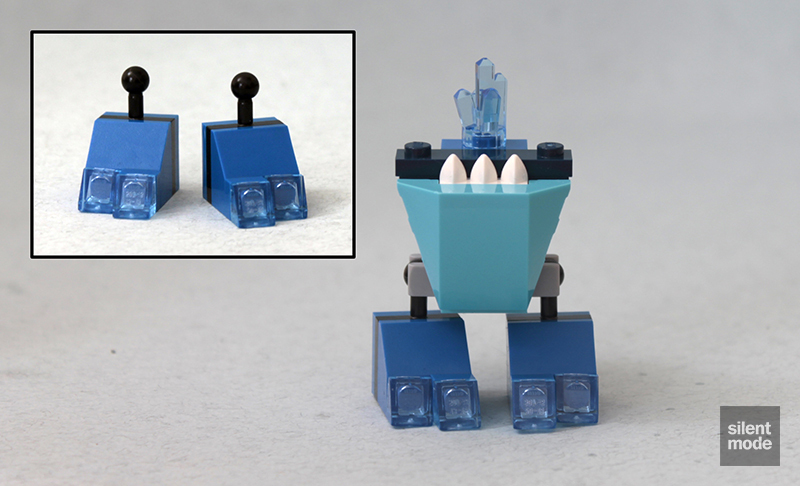 As with the last series we’re doing these in numerical order, so let’s kick things off with the Frosticons tribe: the ice-type Mixels represented in Blue. I’ve been told that these have been the most popular ones so far, and that – very interestingly – both these and the Infernites from Series 1 were more common (ie. 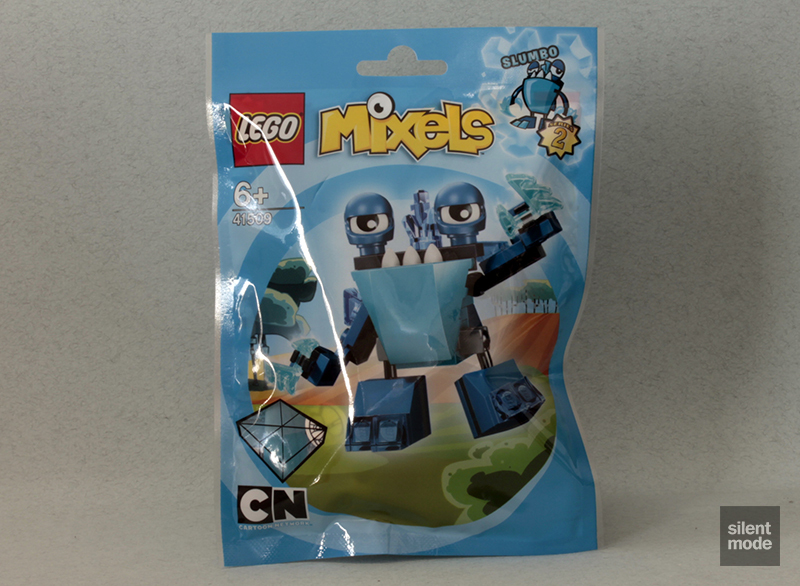 there are more of these Mixels in the boxes sent to stores than of the others). Here we get a very pleasant blue for the package, while a dopey-looking Slumbo graces the front. Of the three tribes in Series 2, this one easily looked the most appealing. Nothing new on the back of the packaging, as with the others, except we now know that this particular tribe is called the Frosticons. All three sets in this colour have similar back designs. Let’s talk parts, and anyone who’s into Blue and its variants is going to be in for a real treat. 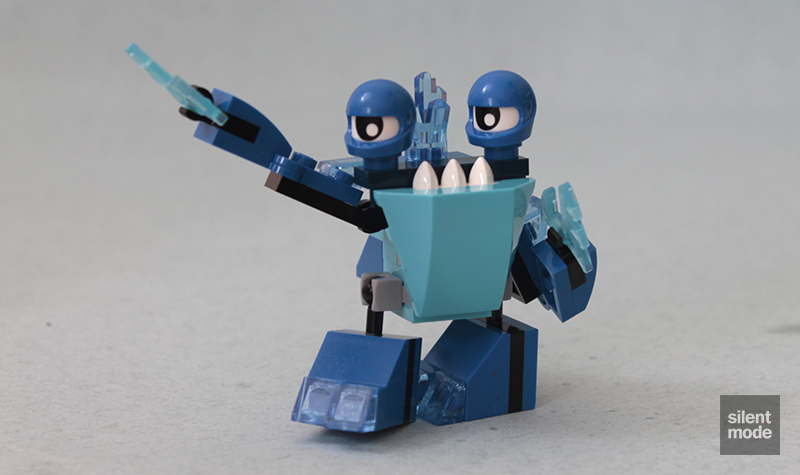 Probably why these Mixels have sold so much is that most people claim to have blue as their favourite colour. Anyhow: because there’s currently no inventory data for this set I can’t give you my detailed analysis of the interesting parts. 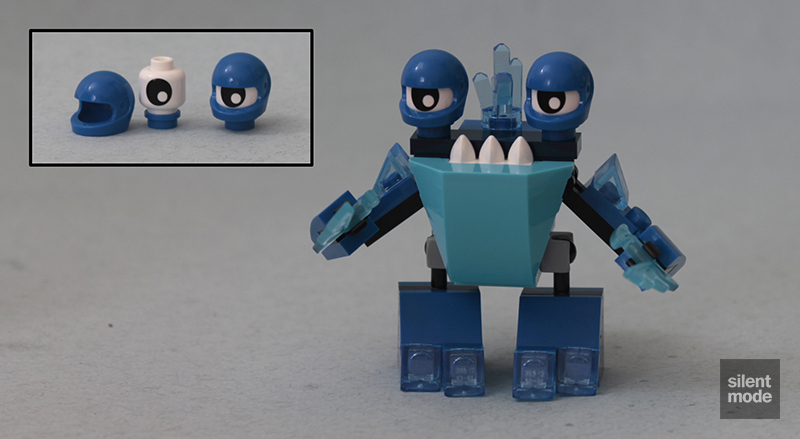 I can mention that we’re introduced to yet another pair of new eye parts: minifigure heads! Each of these White heads has a singular eye print, which will be idea for larger-scale creations, and I’m certain these have been introduced with Mixels Series 2. I shudder to think, however, how widely these are going to be used now – and how expensive grey marketers are going to make them. Medium Azure is starting to become more commonplace outside of Friends and Alien Conquest, as we get 1×2, 2×2 and 2×3 plates – surely a 1×1 plate (if there isn’t one already) is on the cards. Regular Blue makes an appearance with some rather uncommon 1×1 round plates, and a pair of “baby bows”. Then we have a pair of strange parts in Trans Light Blue(?) 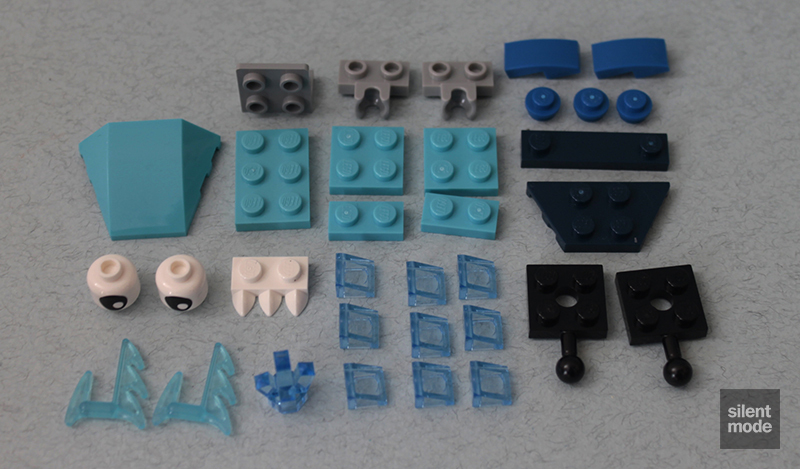 which look like Ninjago parts. There have been occasional instances of Trans Medium Blue cheese slopes in other sets, but we easily gain some in this set. Of course, we’re also graced with two sets of the new joint parts. We recognise this foundation from the first series, where the core of the body is formed using the new joint parts. All of our Medium Azure parts are used here, including for giving Slumbo that trademark underbite. We sure recognise those stubby legs, don’t we? Doesn’t this remind us of Shuff? 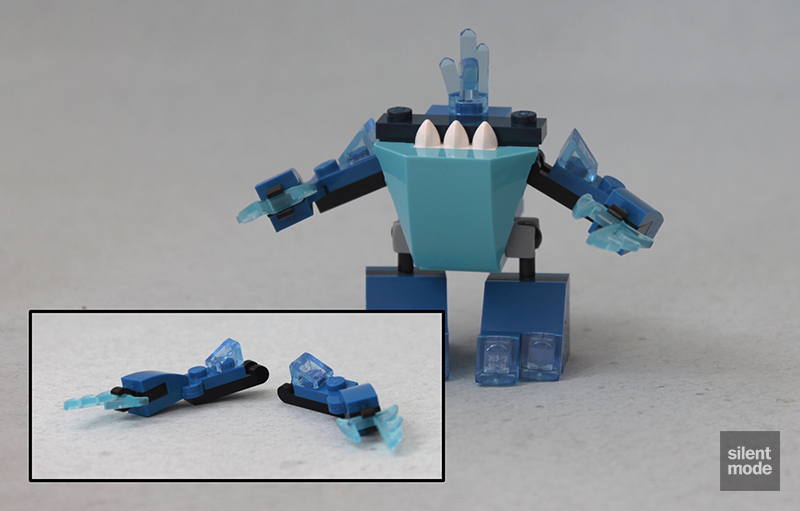 Those strange parts seen earlier are used on the hinged arms to create pincers, to menacing effect. Just when you thought things couldn’t get any stranger than minifigure heads representing a single eyeball… there are also two Blue helmets in the set! And funnily enough, both helmets are used as eyelids. Thanks in part to the Nixel included with Slumbo, we get five spare parts from this set, instead of the three found in the others. I see Slumbo as being a big improvement over the comparatively immobile Shuff: even though they have similar builds for the stubby legs, Slumbo has much more articulate arms. The only downside is not being able to rotate the pincers independently of the arms, although I’m not sure how it could be done while keeping the existing shape. With that said, I do like this Mixel and would be inspired to have it on my workspace desk… if I was one of those regular 9-6ers. I’m going to give this one 7.2/10 – go get it while stocks exist.